Invoice history based on 200 reviews. Our client list is long and varied, ranging from first time purchasers through to buy-to-let home owners and renowned estate agents. We pride ourselves on our friendly and reliable service, with customer care that goes way beyond your 'first job'. We are fully insured for your security and peace of mind. All work carries a 2 Year TrustMark Guarantee - plus your first Annual Service on every new boiler we fit is absolutely free! You deserve the best! 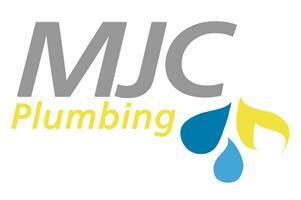 So whatever your plumbing, central heating and gas needs, why not contact us and see if we can help? We do not charge for the London Congestion Charge or for the time spent travelling to jobs. Parking is charged in addition to labour prices shown above, so it is advised, depending on the restrictions within your borough that you have permits available. Materials are charged in addition to labour prices shown above, and any time spent by the engineer/ plumber picking up materials for the customer is chargeable. An Invoice will always be produced electronically clearly showing a full description of work carried out, a breakdown of the cost of labour, the materials used and any extras. Payment must be made in full at the completion of the job. We accept all major forms of payment including Debit card, Credit card, Internet/ Telephone Banking Transfer and Cash Payments. Please note that a 3% surcharge will be applied to all Credit card transactions. Cheques are not accepted.